For a SMILE (small incision lenticule extraction) rookie, the procedure may be a little intimidating. But every SMILE expert in existence today went through that in one way or another. Indeed, there was a learning curve in SMILE that needed to be overcome. When Professors Walter Sekundo and Markus Blum of Germany commenced their SMILE clinical studies in 2007, they performed SMILE in the first 250 eyes from their respective clinics. While they found the procedure feasible and accurate, back then the visual recovery was too slow to compete with LASIK. "Obviously the slow visual recovery was a matter of great concern, especially since the origin of the slow visual recovery was not understood. Then several alternative explanations and theories were constructed and we conducted several interventions to rule out these theories," shared Dr. Rupal Shah, M.D., Group Medical Director of Centre for Sight-New Vision Laser Centers, Vadodara, India. But SMILE has come a long way since then. 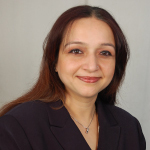 For example, Dr. Rupal Shah and her team have so far treated more than 5,000 eyes over 7 years in one center alone. "In our initial study using SMILE, we were extremely surprised by the accuracy of the results," said Dr. Shah. "While we did not change any nomogram, more than 95% of our first eyes were within +/- 0.5 D at one year. Even though the visual recovery was slow [in the beginning] we knew that the patients are ultimately going to see very well after a reasonable period of time, and that kept us going, " she added. One of the pioneers of laser refractive surgery in India, Dr. Shah is the third surgeon in the world to start refractive lenticule extraction, and the first in the world to perform a single incision SMILE procedure. Her journey of transitioning to SMILE has inspired many refractive surgeons worldwide. Discussing the procedure in a session for SMILE beginners, Dr. Shah highlighted that she and her team were quite surprised by the surgical ease in SMILE, and with the lack of corneal edema and haze postoperatively. "It is quite easy to separate the lenticule," she said. "We were able to go from ReLEx® FLEx (Carl Zeiss Meditec, Jena, Germany) to pseudo-SMILE within a month and from pseudo-SMILE to ReLEx® SMILE within another month; the transition didn't take very long." Further, Dr. Shah noted that the most remarkable aspect of SMILE is the procedure's predictability, accuracy and stability. Based on clinical experience, she emphasized that today, more than 98% of all eyes in her clinic are within +/- 0.5 D of the intended correction even without nomogram adjustment. SMILE is a technique that has come of age, according to Dr. Shah. "It shows, across several studies, remarkable accuracy, stability and safety, comparable to or superior to femto-LASIK, especially in high myopic eyes. In the next decade, it is likely to become the technique of choice to treat refractive errors," she explained. On the other hand, Professor Wang Yan, M.D., Ph.D., Tianjin Eye Hospital and Eye Institute, Tianjin Medical University, Tianjin, China, was very specific about the 'ideal SMILE procedure'. Talking about the step-wise procedure in SMILE, Prof. Yan emphasized the importance of satisfying the basics for a successful procedure. This includes sufficient preparation, right patient position, information verification, good centration, satisfactory scan energy, special surgical instruments needed, effective lenticule separation and slit lamp examination. "The pearls of an ideal SMILE procedure include smooth operation, less injury, no corneal shape changing and quick recovery [90% to 95% reach 20/20 or better, or even 20/10 in day 1 post-op]," said Prof. Yan. 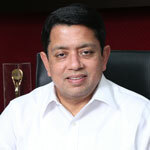 Further, Dr. D. Ramamurthy, M.D., chairman, The Eye Foundation, Tamil Nadu, India, and president elect, All India Ophthalmological Society (AIOS), shared some tips and tricks for a successful SMILE procedure but also warned surgeons about some 'traps' intraoperatively that are better avoided. 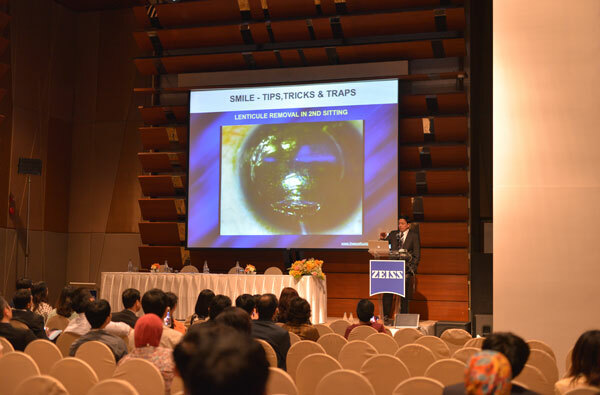 Overall, Dr. Ramamurthy emphasized the importance of identifying and properly removing the lenticule in the SMILE procedure. "Once you have mastered that then you will be comfortable doing the procedure," he said. From his clinical experience, Dr. Ramamurthy advised on identifying the cleavage plane under high magnification and performing the dissection in front. He also mentioned that in some cases, difficulty in lenticule separation can happen when laser energy has not been passed on uniformly. In this case he advised on the crucial importance of titrating the sufficient energy needed. Further, Dr. Ramamurthy particularly noted the incision size: that an incision between 2 to 5 mm is allowed. But surgeons, he said, because of "hangover" from phaco days tend to extract the lenticule at 2 mm thinking that the smaller the incision the better the results are. "Please remember that this procedure doesn't have an astigmatic component attached into it. In my clinic, I have standardized it to 3 mm incision because by reducing the size of the incision to 2 mm, you may risk ripping the incision," he explained. Finally, Dr. Ramamurthy highlighted that slit lamp examination [after lenticule removal] will ensure that there is no lenticule remnant ̶ a step, he emphasized, that SMILE beginners better not skip. Meanwhile, the era of all-femto surgery which is free of mechanical keratome, noted Prof. Li Ying, Ph.D., professor, Department of Ophthalmology, Peking Union Medical College Hospital, Beijing, China, avoids complications related to flap creation such as corneal edema and haze. "Nowadays, the popularity of SMILE can be attributed to its advantages," she added. SMILE, highlighted Prof. Ying, has little effect on the biochemical stability of the cornea and has less injury to corneal nerve fibers which prevents incidence of dry eye after surgery. The accuracy of the SMILE procedure allows better predictability and leads to less refractive regression. More importantly, according to Prof. Ying, the surgery [using SMILE] can be customized for certain patients hence enabling better outcomes. However, Prof. Ying reminded SMILE beginners to be careful during each step of the operation as this is crucial for the success of the surgery. "We must pay attention to the design of the operation and be careful during surgery," she explained. 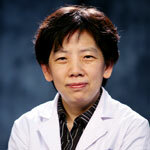 Fast suction and separation of lenticule are critical steps, noted Prof. Ying. "Also, in-time and careful management of complications [should they arise] will avoid permanent visual impairment," she added. Overall the experts highlighted the flap-free, minimally invasive features of SMILE that highly contributed to the safety of the procedure. "Some patients still have reservations on a new refractive procedure such as SMILE, but safety, accuracy and precision are features that resonate well with them," concluded Dr. Ramamurthy.